2. Flatten the Gardenia Classic White Bread. 4. In a bowl put together Apples, brown sugar and cinnamon. Mix well. 5. 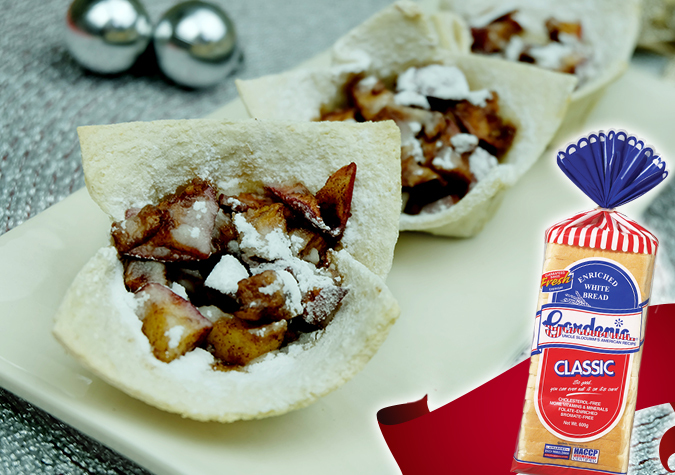 Place the apple mixture into the cups. 7. When Baked, Sprinkle Confectioners Sugar.